We are UK’s leading cookies wholesale supplier, supplying over 3500 clients inside London and loads of other clients around UK with quality cookies. We supply cookies to wide range of facilities including shops, hotels, restaurants, cafes and many other facilities. 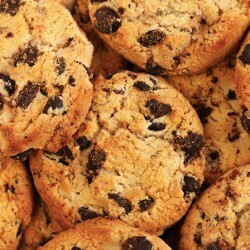 We have wide range of wholesale cookie products ready to be delivered to you. Product InformationSimply Heavenly Hand baked 80g American style cookie, now with candy coa.. Product InfomationSimply Heavenly, 90g American style, soft cookies are big on everything..... ..